There are thousands of things that can go wrong on the path from an idea to a problem solving solution. To help with the process there are plenty of methodologies and tools to formulate, conceptualize and execute ideas into a feasible business plan. At the end, the goal is to bring the ideas to life and make them work. It was inspiring to spend two days in September with Gijs Van Wulfen and Katja Tschimmel learning about Design Thinking and how to solve problems and contextualize ideas. After the sessions, I can honestly say that innovating is not easy and there is no easy formula for it. 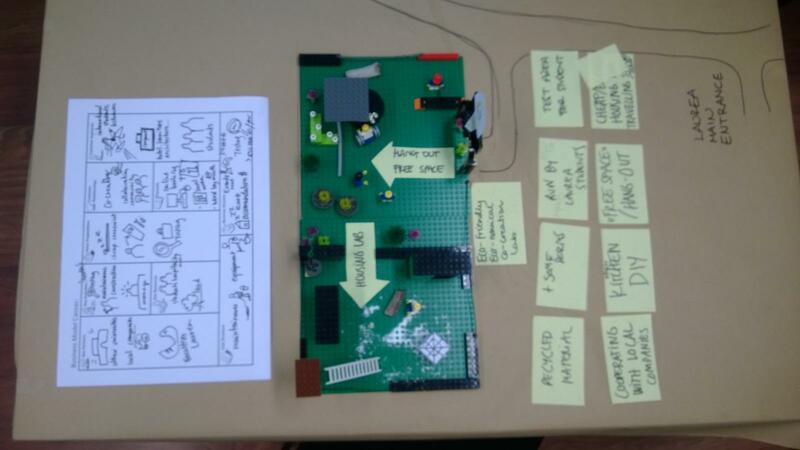 However, Katja and Gijs took us through several tools to help with the mysterious innovation process. We spent a good amount of time getting to know the FORTH method that Gijs had developed. On top of that, to get a better grasp on the methods available, we studied some of the tools essential to design thinking and with the help of Katja’s paper “Design Thinking as an effective Toolkit for Innovation” I feel quite comfortable to start my journey. Both Katja and Gijs help me realize the change in the state of mind that is needed to think in a “design way”. By this I mean that when starting to learn to think the design way, it changes the way you see and think about things. And that is a good thing! Katja gave us good overview on design thinking tools that can be used in the innovation process and in her paper you can find several tools that are useful. In the observation stage there are tools such as shadowing, self-documentation by photos, mind mapping, storytelling and the use of personas. For Idea generation there are tools like brainwriting, brainsketching and Visual and semantic confrontations. In testing ideas phase tools such as, prototyping, three-dimensional designs, detailed sketching and practical descriptions. In the homecoming phase the most important tool is the business model canvas to clearly show the benefits of the solution in business terms. To present the idea however there are as many ways and tools as there are presenters. The importance is in the clarity of the message. Four things to remember about FORTH! 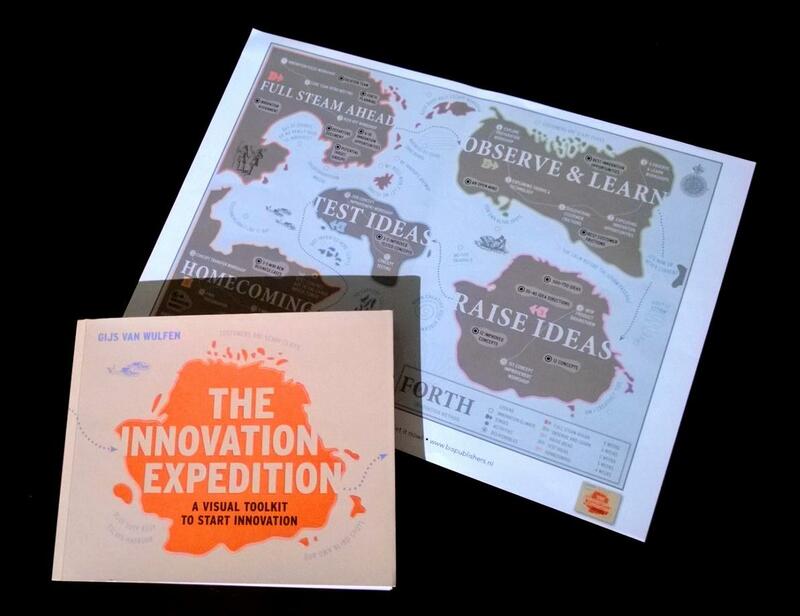 The idea in the FORTH method is to help with the difficulty of bringing ideas to life and for innovation projects to reach their goals more often by formalizing a process, or as described in Gijs’ book The Innovation Expedition – a visual toolkit to start innovation; an expedition. By getting to know the FORTH, it busted out a common myth that innovation needs creative and innovative people in order to happen. You need all sorts of skills and creativeness is not the forerunner. As Gijs has put it in The Innovation Expedition: “Creativity alone will not get you there. You will also need customer understanding, business sense and technical expertise. That’s why a structured ideation approach can be a helpful tool in determining: What to do? In which order? When? With whom? And how? (65, Van Wulfen, 2013)”. Gjjs has used his imagination to create a map with the different stages of innovation process and he made it fun to navigate through the murky waters of innovation. Exploring the FORTH is like being a sea captain trying to find treasure, as FORTH is a method presented on a map where different stages of the innovation process are shown as islands and during the process, users are to “explore” the stages. Of course iteration is encouraged since often after moving forward you discover new ideas that should be looked in more detail and thus getting back to the planning board. With this map method, it was also easy to put in place the tools presented by Katja. FORTH offers 5 easy to remember stages. The stages of FORTH are Full Steam Ahead, Observe & Learn, Raise Ideas, Test Ideas and Homecoming. In the book each stage is described in detail and there are plenty of good tips and hints that help you going. While going through the stages the goal of solving the problem at hand is getting closer and you start to form a clear picture of the solution to be developed. One of the rule of thumb that was mentioned in the book and during the course was that, good ideas take time to develop to become great innovations, but the time in the process should be limited to make people focus on the ideas. Loose schedules and undefined timelines lead to un-concentrated results. Urgency is often a good tool to create innovative ideas. After journeying through the methods and tools with Gijs and Katja’s facilitation, I can’t wait to get my hands dirty and testing them out on a real-life innovation project. Nice post Mika 🙂 And thanks, it freshed up my memory about few things I allready had forgotten about. Very good point Mika – starting to think design way changes the way we see and think about things. And this is probably the most important thing that happened to us!